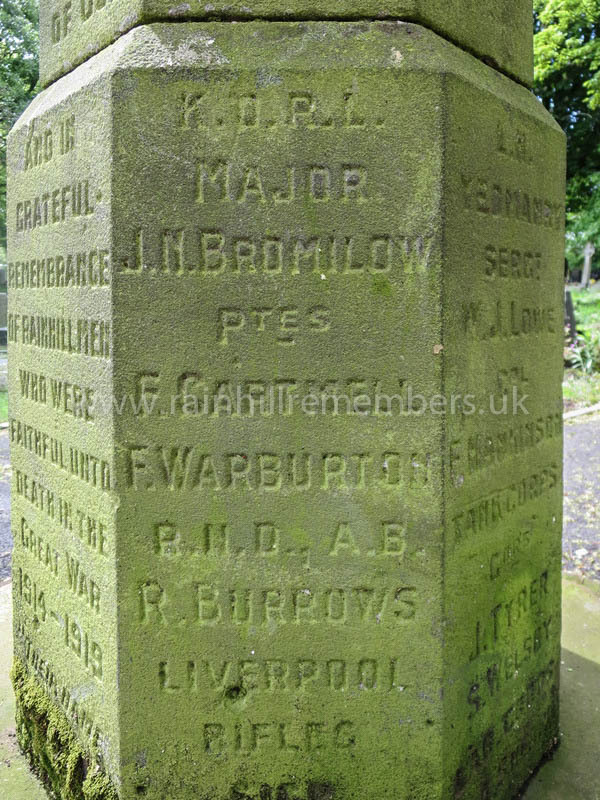 John Nisbet Bromilow was born in Rainhill on 29th August 1886 to Henry and Editha Bromilow, living at Greenbank, Lawton Road. John is not listed on the 1901 Census as living at home and may have been away at school at Eastbourne College, where he was educated from 1900 to 1905 as a border in School House. He was in the rugby XV and won colours for swimming, cross-country and gym and was Sergeant of the C.C.F. By 1911, John was living at Rann Lea on Mill Lane. He was 23 and his occupation was an Army Lieutenant. His father was a colliery proprietor and he and his three children, a niece, a nephew and six servants were all living in the house. After passing through Sandhurst Military Academy in 1906 when he was listed as 5’ 6 ¾” and single he served for a time with the home battalion at Colchester and later in Jersey. He then exchanged into the Foreign Service Battalion and proceeded to India. 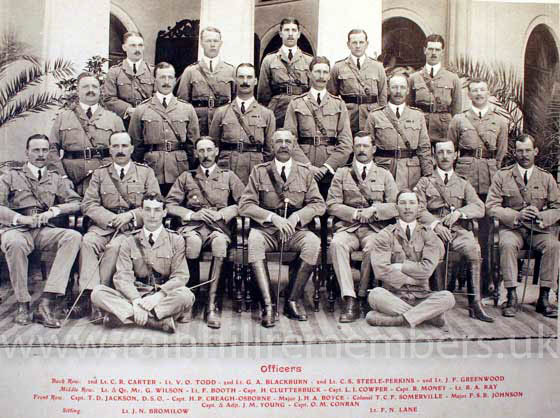 In 1910, the 1st Battalion was based in Lucknow, India but returned home before the War. On the outbreak of war he was home on furlough (temporary leave) and was ordered to join the 6th (Service) Battalion of his regiment to assist in training them. He became Adjutant for a time and was then appointed Staff Captain to the 8th Brigade, 13th Division with which he proceeded to Gallipoli where he was badly wounded. The 1st Battalion was mobilised on 4th August 1914 in Dover where it was stationed. On 23rd August, the Battalion arrived in Boulogne, France on board the SS Saturia and spent the rest of the war on the Western Front. He was killed in action on the Somme on 1st July 1916, aged 28, being buried at Serre Road Cemetery No 1. He was awarded the following medals:- Star Medal, Victory Medal and the British War Medal all of which are in the Kings Own (Royal Lancaster) Regiment Museum.